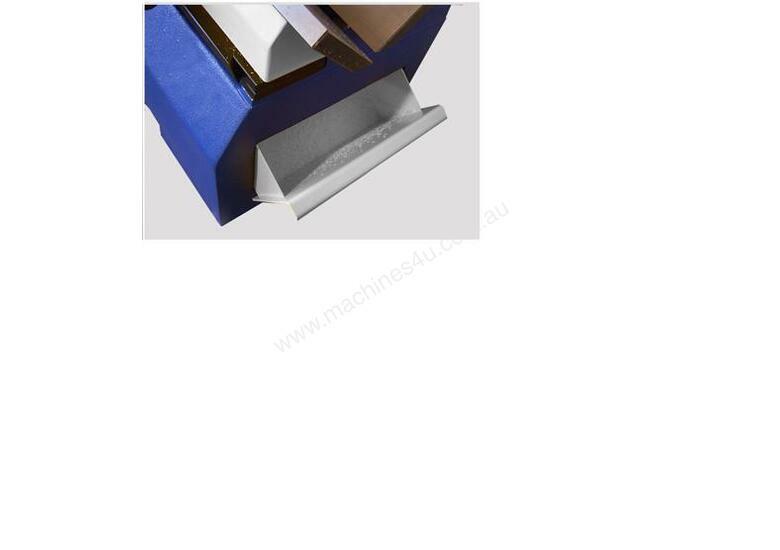 The EURACRYL Model V2.2 Chamfering Machine is a compact tabletop Diamond Edge-Polishing Machine which is dedicated to producing polished chamfers of up to 7mm x 7mm on acrylic blocks and sheets. Usually used in conjunction with a standard 90-degree Diamond Edge-Polishing Machine, the Model V2.2 allows you to effortlessly apply a chamfer with a brilliantly clear finish and crisp edges for the maximum visual clarity. IDEAL FOR TROPHY, PLASTIC TOMBSTONES, AND DISPLAY MANUFACTURERS! The Model V2.2 is normally supplied with a Feed Unit (included in this advertised price) which allows for variable speed and automatic feeding (between 0 to 3m/min.) 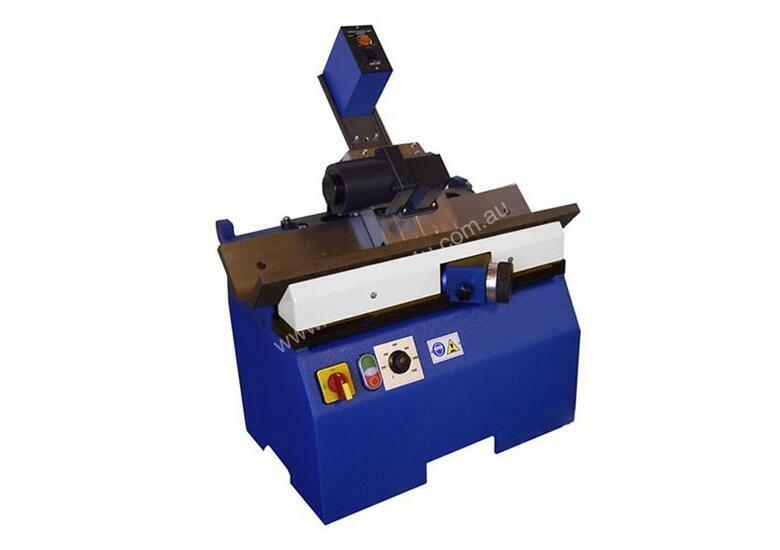 of the material being polished, and a Floor Stand, which sets the machine at the optimum height for operator comfort and is equipped with a convenient storage cabinet and dust/chip extractor. 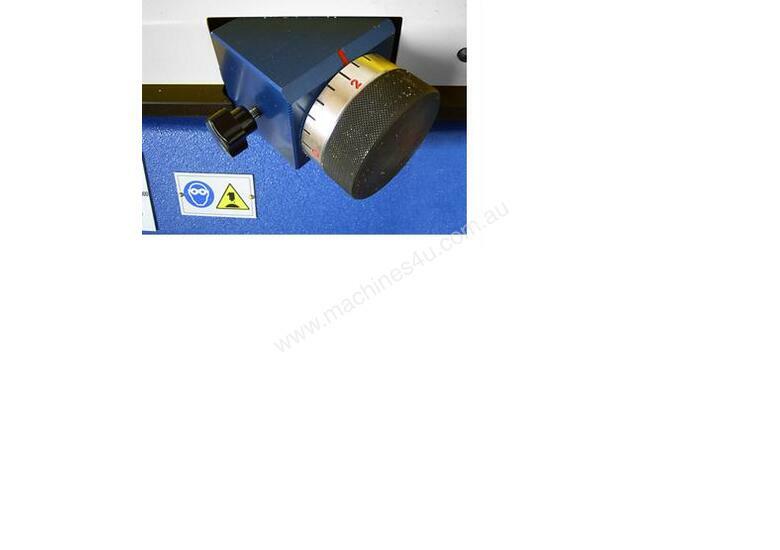 It is available with a choice of 2, 3, or 4-Tip Diamond Tools, and the rotation speed of the spindle motor can be varied from 0 to 12,000 RPM. 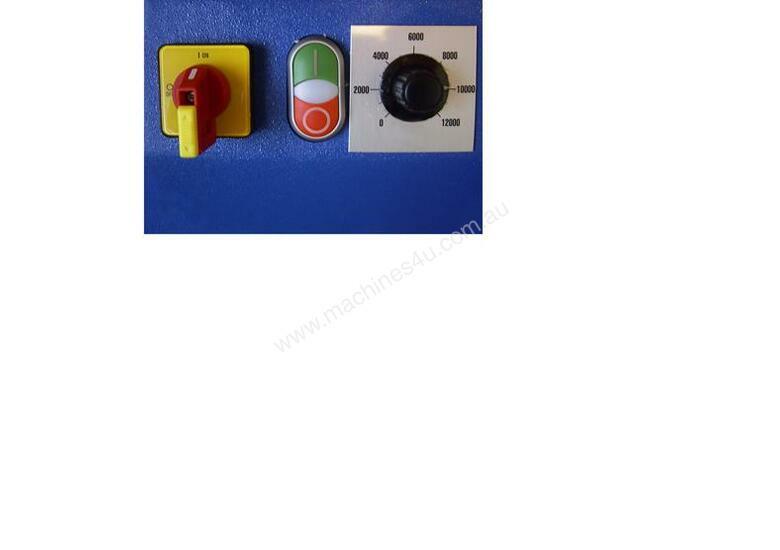 The size of the chamfer is easily regulated by adjusting the Turning Knob from 0 to 10mm. As a completely stand-alone machine which is permanently set up for chamfers, the V2.2 is fantastic for processing both your 1-off and production-run jobs which require a good-looking chamfer, without any major set-ups and adjustments. Runs on Single-Phase power supply.